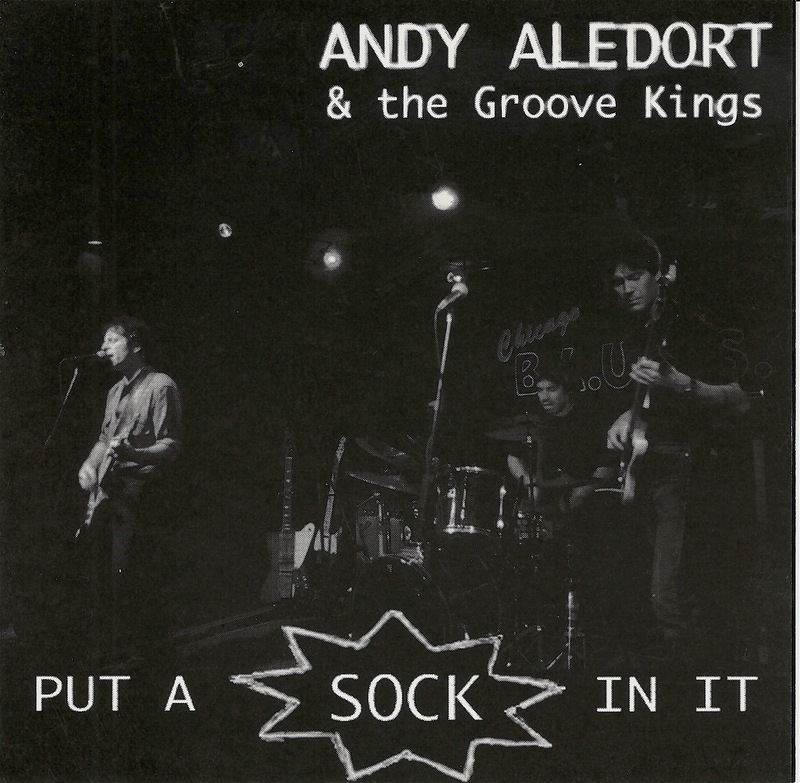 My self-released album from 1999, “Put A Sock In It,” has been remastered and released on Long Song Records! 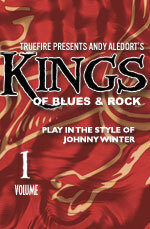 Order your copy on the Bandcamp page! Click on which version of the record you would prefer (digital or CD), add the quantity and it will place the order in your shopping cart–proceed to the checkout and the download/disc will be on its way! 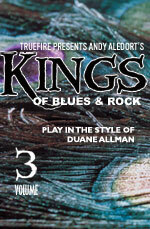 Thanks and I hope you will dig it and dig the very cool promotional video we put together! Check out this new interview with Mark Daven from guitarradioshow.com! AVAILABLE NOW! 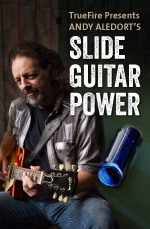 NEW SLIDE GUITAR COURSE! 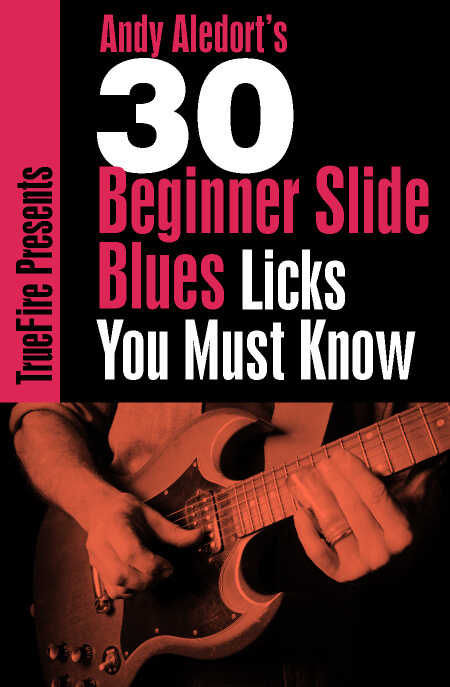 Learn foundational beginner blues slide guitar licks. When you pre-order a course, you save an extra 5% off over the introductory bonus discount, plus you will be the first to be notified when the course goes live. 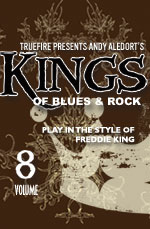 Use the promo code on the right to apply the special pre-order discount, and you can combine with TrueFire Cash and All Access Discounts for additional savings. 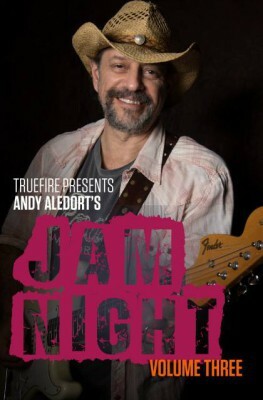 CHECK OUT MY TRUEFIRE “JAM NIGHT” INSTRUCTIONAL SERIES! OVER 30 OF THE MOST POPULAR OPEN JAM SONGS OF ALL TIME! CHECK OUT MY NEW ONE-ON-ONE TRUEFIRE CLASSROOM! 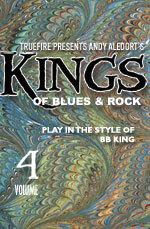 For many musicians, going out to the local jam and playing with friends is their primary, if not only musical outlet. 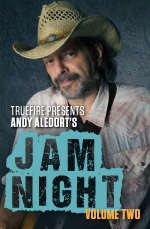 The goal of Andy Aledort’s Jam Night series is to broaden your skills as both a rhythm guitarist and soloist, with specific instruction directed within the scope of standard, tried-and-true open jam night songs.Each volume of the series includes 10 of the most popular songs played at open jams, all over the world on a nightly basis. 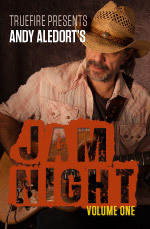 The Jam Night series will help you develop your rhythm guitar and soloing chops while teaching you a variety of ways to navigate through popular music’s most common song progressions and stylings.Jam Night: Volume 2 is designed with specific musical styles presented in pairs: two songs in the classic Soul/R&B style, two songs in the Rock ‘n’ Roll style of the Rolling Stones, two songs structured in the style of classic Chicago Blues, two Jimi Hendrix-type song progressions and two examples representative of a Reggae style.The progressions and grooves are patterned after Sitting On The Dock of the Bay, In the Midnight Hour, Dead Flowers, Honky Tonk Women, Key to the Highway, Sweet Home Chicago, Like a Rolling Stone, Hey Joe, I Shot the Sheriff, and No Woman No Cry.Working with Andy’s Jam Night series will equip you with the three most important skills you’ll need to take to the jam stage; command of the popular song list, a diverse rhythm guitar vocabulary, and the ability to improvise fresh solos over popular song progressions. Command of the Popular Song List: There are really only a handful of songs that are called over and over again at the local jams — they’re the ‘standards’ of rock and popular music. You don’t need to learn them note-for-note like you would for a cover, but you do need to be familiar with their basic structure.Diverse Rhythm Guitar Vocabulary: You’ll be playing a lot of rhythm guitar at the jams. The better your rhythm chops, the more you’ll get asked to the stage because EVERYBODY loves to play with a strong rhythm section. Again, while your rhythm parts might be inspired by the original recorded version — you MUST bring some originality and diversity to the bandstand to keep things interesting over what could be a 15-minute jam on that song. 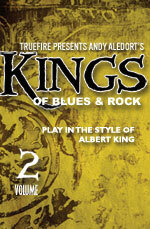 Only a handful of people on the planet can deliver the instructional goods on guitar as well as Andy Aledort. 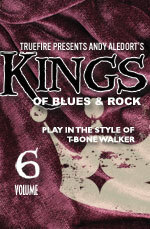 Andy has served as senior editor for several top guitar magazines, has authored over 200 guitar instruction books, and has studied the styles and techniques of virtually every major electric blues and rock guitar artist in history. 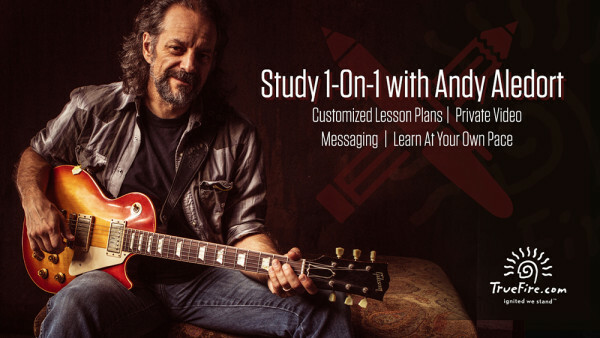 You’d be hard pressed to find anyone better qualified to present a more thorough guitar lesson curriculum than Andy Aledort. 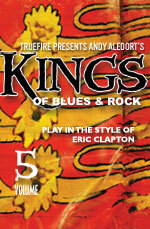 Learn how to play guitar with TrueFire’s Slow Blues Power guitar lessons by Andy Aledort. 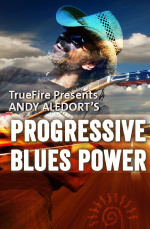 Learn how to play guitar with TrueFire’s Progressive Blues Power guitar lessons by Andy Aledort. 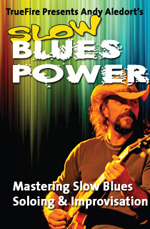 Straight up, if you play the blues, you simply gotta have a few slide chops to call on and that’s what Andy Aledort’s Slide Guitar Power is all about — the essential slide know-how you need to power a vast repertoire of blues slide guitar tunes across a variety of artist styles. Learn how to play rock guitar with TrueFire’s Slide Guitar Power guitar lessons by Andy Aledort. 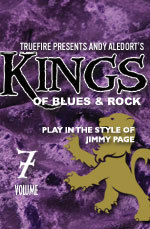 Sign Up For News & Gig Schedule Emails!